DieselBike.net | Beaulieu 2006 Motorcycle Show featuring diesel motorbikes. 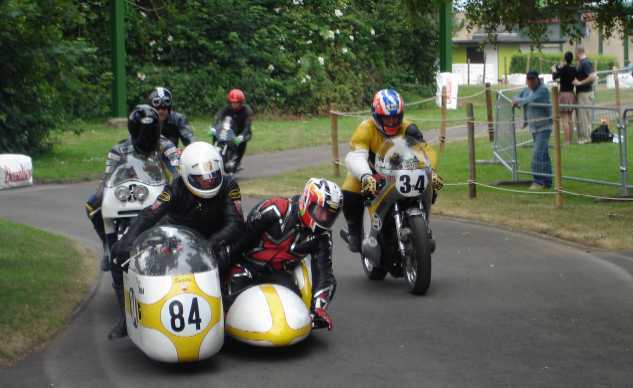 Having been invited to the 2006 Beaulieu Motorcycle World Show myself and Dave Warham set off Friday and eventually met up at the camping ground on site. 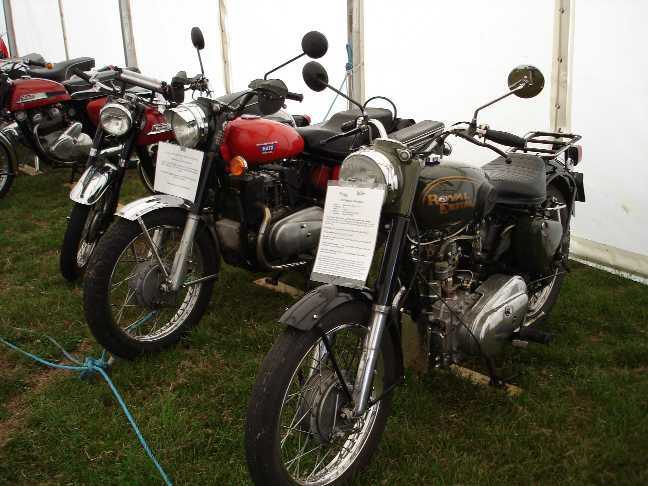 The organisers had said we should display the Royal Enfield diesel motorbikes inside one of the Classic Bike Marquee's and so after making some enquirey's we placed them into tent number 4 as you can see below. 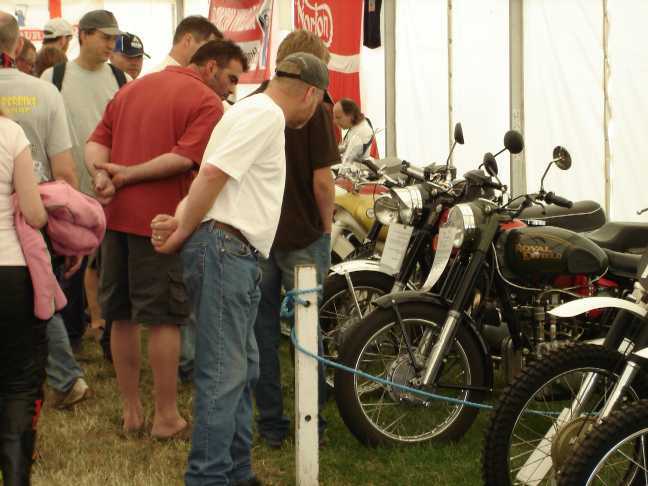 We had been lead to believe that the Diesel KLR would make an appearance but unfortunately it couldn't make it. The location turned out to be quite good in that we had a lot of people passing through and the bikes certainly captured some attention. I made some good contacts including Chris Oliver who had a hand in producing some of the first Fuji Robin Royal Enfields by Ernie Dorsett. After asking the organisers about a runout I was included in with the Custom Bikes (at the last minute) and after a dash for my helmet and Jacket, managed to get the bike to the scrutineering tent just before the off. Some of the Quasar (feet forward) boys came bounding over to see the bike and I was immediately asked what I ran the bike on! Of course I gave the correct answer! I managed 5 laps on the track along with everyone else. I wondered whether I might be singled out for some attention by the man with the microphone but alas, he seemed more interested in the thigh booted young ladies astride the custom built choppers and trikes. We did get any pictures on me either so if you have one please send it! Some of the classic Racers tacking a spin around the 'in house' racing track. 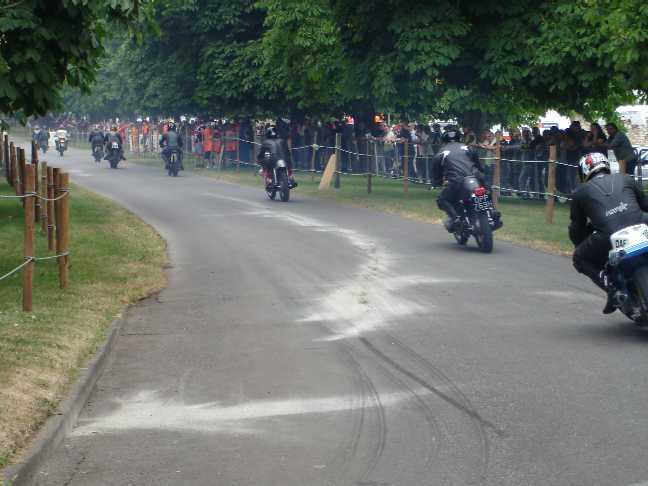 An action shot of some of the racers taking the bend. 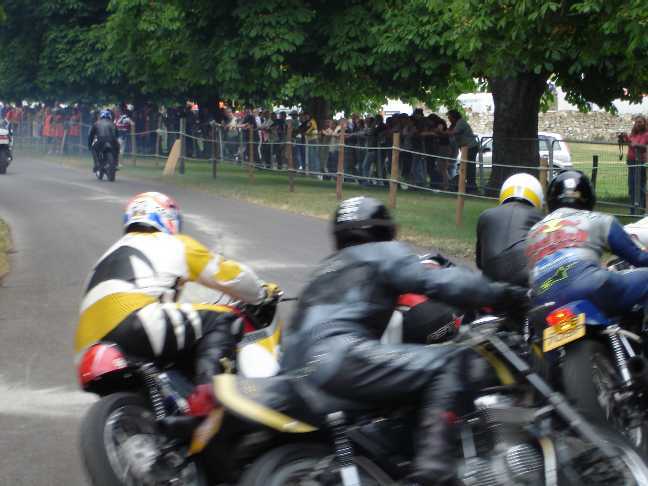 More bikes accelerating away and up past the crowds on the way to the big arena. 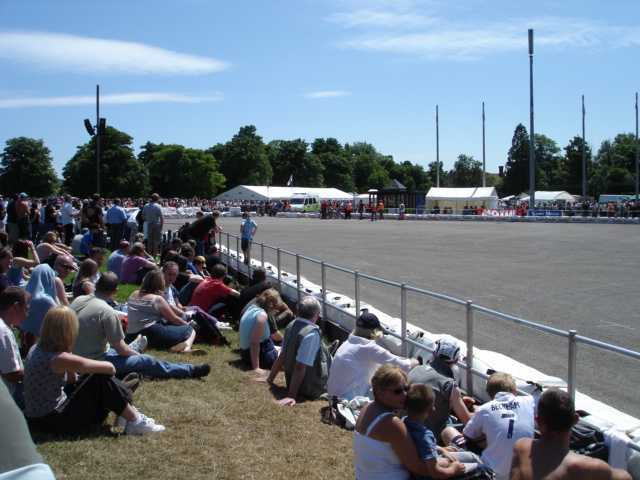 A shot of the Arena. Bikes on the circuit rode around the edge here while others displayed in its centre. 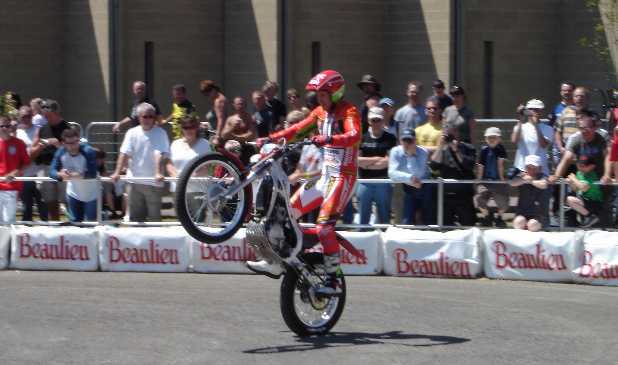 Some fancy wheel work from one of the shows Trick Trials Riders.